Unity 5 comes with two default templates for WebGL builds, but neither of these present your work very elegantly. You can edit the web assets after you publish to get something nicer, but this is a hassle, and is error-prone – it’s easy to forget to move files around after every build. What would be great is to set up the presentation of our WebGL build once, then have Unity automatically include it every time we build. Fortunately we can do this using a custom template! Searching the Unity application files, we can find the files the default templates are based off: PlaybackEngines > WebGLSupport > BuildTools > WebGLTemplates. Fortunately using they’re in the exact structure we need to use for our projects. Create a folder inside that one for your template “MyTemplate” or whatever. Create the index.html file for your template. Go to Edit > Project Settings > Player, On the WebGL tab > Resolution and Presentation (or Publishing Settings in older versions) and choose your new template (If it doesn’t appear, try restarting Unity). %UNITY_WEBGL_LOADER_GLUE% – The code that loads your build, this usually goes in just before the body closing tag. using a .php index file doesn’t seem to work yet. If you create a 128×128 thumbnail.png in the folder of your template, it will show up in the Unity WebGL template selection of your player settings, just like with web player templates! If you’re working off the Unity default template, the most useful file to edit is the unityProgress.js – you can smooth out the motion of the preloader, and move out some of the code to html instead. 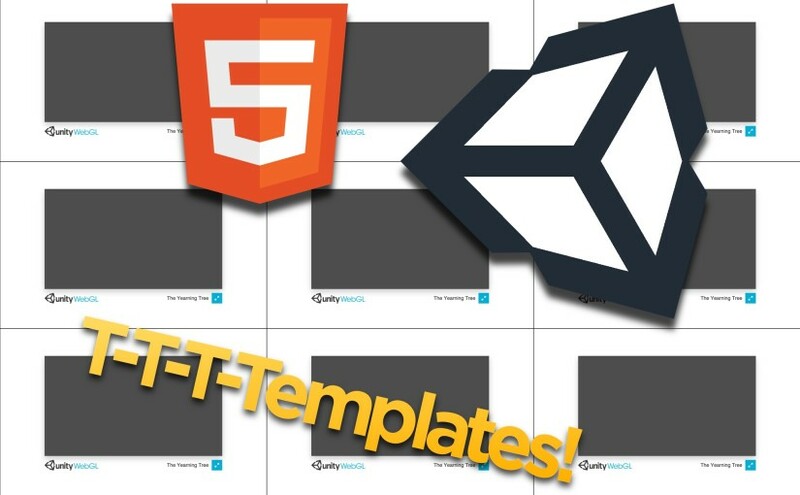 If you’re having any trouble setting up your Unity WebGL template, send me a message and I’ll see if I can help you! Excellent tutorial! The only thing I noticed is that selecting the template is now under ‘Resolution and Presentation’ instead of ‘Publishing’. But it was easy enough to find. Thanks a bunch for letting me know, Mattijs. I’ve update the tutorial.